In today’s post, I want to share my top 15 Robert Kiyosaki quotes of all time. Robert Kiyosaki is one of my personal favorite business mentors. While many people disagree with his teachings, I find it fascinating and very helpful. I’ve been reading his books and taking his courses for about 10-years now. Through the years, I’ve found some really powerful Robert Kiyosaki quotes that really stuck with me. I wanted to take a few minutes and share them with you, hoping they have a similar impact in your life and business. These Robert Kiyosaki quotes come from many different sources. Some are from his books. Others are from his online videos. Enjoy. These quotes are listed in no particular order. After each quote, I will share my own two cents on the subject. My Take: The wealthiest people in America are entrepreneurs and investors, not employees. If you really want to get ahead financially, you have to stop trading hours for dollars. Instead of working for money, let money work for you. The only way to do that is as an investor or an entrepreneur. The bottom line is that you need leverage. This leverage can come from money or people. My Take: All successful people have a group of intelligent advisors. This includes a good CPA, financial advisor, insurance agent, and attorney (at a minimum). Smart business people look for talented folks to hire who are normally smarter than they are. This lets them leverage these experts’ knowledge to get even better results. Let’s face it, no one knows everything about everything. Surround yourself with talented people and watch your own value and success skyrocket. My Take: Our mind is our greatest asset. Whatever we can think and believe, we can achieve. Most people spend adequate money feeding their body, but very little money feeding their mind. You need to read books, find mentors, participate in mastermind teams and attend seminars. Learn everything you can about your business and industry and also focus on continuous improvement. Try to get a little bit every single day. Do that daily for a few years and the Compound Effect will kick in. Feeding your body will make you about $10 to $20 per hour, whereas feeding your brain can make you rich! My Take: If you are going to take a job, do it so you can learn a new skill that will help you grow a business. Pick a job because of the education you will get from it, not for the money you will make doing it. The marketplace is constantly changing and we must always learn and develop new skills that will make us more valuable to the marketplace. That’s why you should look for jobs that will teach you new things. If you’re thinking about start a business of your own, get some experience in sales, marketing, advertising, operations, and bookkeeping, first. This will really help you out later on down the road. My Take: The people who make the most money with stocks are the people who create companies, not the people who buy stock in it. Spend your time building businesses so that you can one day sell the business or take it public, via IPO. That is where the real money is at. My Take: Most people are confused by what an asset really is. An asset is something that puts money IN your pocket, not takes it away. Don’t confuse the difference between capital gains and cash flow. Anything can go up or down in value, but a good asset is something that pays you some type of ongoing income on a consistent basis AND goes up in value over a period of a few years. My Take: Don’t let your fears control you. If you let your fears control you, you will never take action and build a successful business. The only way to destroy fear is to take action. We all have fears. My best advice is to let your actions control your fears rather than letting your fears control your actions. My Take: In life, you can have security or opportunity, but you will seldom have both. Most people choose security over opportunity. As a result, they end up with very little at their end of their lives. Don’t be scared to try something and fail. In life, you have to take some risks. Nothing ventured, nothing gained. My Take: You will find very few “financially” successful people who follow this strategy. If you really want to make it in life, you have to be your own boss. The days of job security are long gone, even if you work for the government. Look at what the masses are doing and do the exact opposite. After all, insanity is doing the same thing over and over and expecting something different to happen. My Take: Very few entrepreneurs achieve success with their first business venture. You have to learn the right skill-set and mind-set before you will succeed. This takes time to do; normally several years. As long as you learn from each experience, and evolve, you will eventually succeed as an entrepreneur. Success never comes easy. You have to pay a price. My Take: Success starts with desire. This is what will fuel you to take action. You need a big, burning desire and a big dream to keep you excited and passionate as you pay your dues, temporarily fail, and learn from your mistakes. Success is about getting up one more time than you are knocked down. My Take: No one is a success all by themselves. Ultimately, we become successful through the help of others, even if we aren’t willing to admit it. Your goal is to find the best, most talented people you can and work with them. Surround yourself with people who are inspiring, successful, talented and uplift you. Avoid the haters and dream stealers at all cost. My Take: Your real education begins after you graduate high school or college. A degree will not prepare you for the real world. Most people stop learning after they graduate and then wonder why their career plateaus. You must be a life-long student and have a personal and professional development plan. My Take: When you own a business, it’s much different from a job. With a job, you can work your 40 hours each week, come home, and forget about everything. As an entrepreneur your job never ends. Yes, you can still take time and relax, but you can never really get away from your business (if you want to be successful). My Take: The harder I work the luckier I get. Most middle class Americans look at the rich and consider them lucky. The truth is most of these people created their own luck by taking risks, having a plan, working smart, and persevering. In summary, these are my top 15 Robert Kiyosaki quotes of all time. 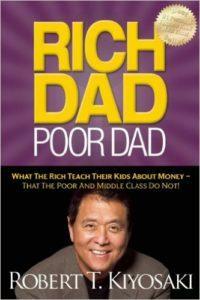 I’ve learned so much from Robert Kiyosaki through the years. He has so much wisdom about starting and growing a successful business, and investing. If you haven’t checked out his books yet, you should. What are your thoughts? 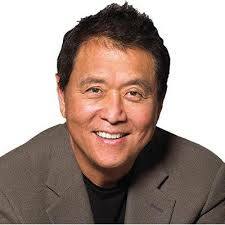 What are you favorite Robert Kiyosaki quotes of all time? Leave a comment and let us know. I look forward to hearing from you. My favorite quote seems to be #7. I like your interpretation more, “The only way to destroy fear is to take action.” I find it very relevant and helpful to me. Thank you! Quote #11 is also excellent. Dream big and want what you want to achieve as bad as you want air, and you’ll have it, and don’t let failure stop you along the way. Passion absolutely builds business. Fear is a normal part of the process, but your passion should always be greater than your fear if you want to succeed. So many people let the uncertainty of the future consume them and also allow negative people get in their heads. It robs them of the ability to dream bigger and work towards bigger thing. If you can remind yourself WHY something is important to you, you’ll always be able to overcome fear. If you love what you do you will never work a day in your life. These are some great quotes. I was really grabbed by the one that states your house is not an asset. That is very true. While it has value, it doesn’t make you money. The only way homes can be assets is if you are in the business of “flipping” homes. I also like the one that says education is what you learn after leaving school. In my opinion, every day of our life should be educational. We should always be trying to learn something new. Yes, I agree that Robert Kiyosaki is a very wise man. I don’t always agree with everything he says, but the majority of his statements are dead on. Our learning should never stop. We should strive to learn new things every day until the day we die.